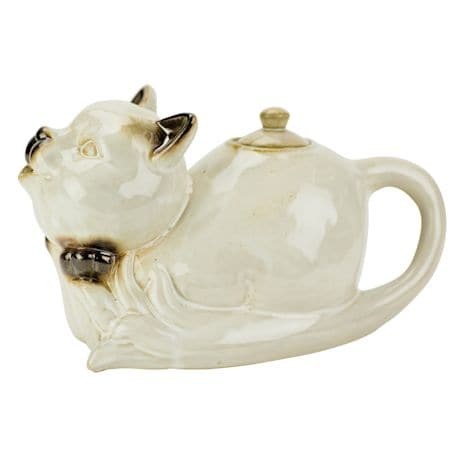 With dark-glazed ears and snout, this Siamese kitty is the ideal teatime companion, gently steeping your cuppa and pouring it through an adorably pouting spout. A must for kitty households, with an elegant artisan glaze that creates a piece of stoneware art. Dishwasher and microwave-safe. 9"; holds 30 oz.